Okay, so here's the story. As I was organizing and downsizing my fabric closet I came across some unfinished quilts. Like, a lot of them. I start counting how many are waiting (patiently) to be quilted, and I found 21 that need to be sandwiched and quilted. Quite a hefty number of UFO's! I have a feeling I could probably find three more and make it 24 in some form of unfinish. Well, I am going to try to make it a goal to quilt at least two a month and maybe, MAYBE have them all quilted by the end of the year. Or if I can only manage to tweak out one a month, it will be a two year goal. I've got to make good this wonderful gift my hubby gave me. Do you have any special quilting goals this year? Like you my goal is to finish things! I have a similar number of UFO/WIPs to work on this year! Oh, yes, definitely get those gems quilted! They don't do any good hanging in your closet (like several of my own, lol!). And have fun with your new machine. Nice husband you've got there! That is an incredible amount of quilt tops...wow! What a great goal to get them finished, especially after all the work I'm sure you put into them. Lucky you to have that Sweet Sixteen to quilt them! I applaud you for making this goal as you say even as a 2 year goal...way to go. I for one would love to get a look at them...I’m sure there are beauties hiding there. I'm in the same boat. I've started with the littlest ones and am working my way up. Looking forward to seeing your progress and how much you like your sit down Sweet Sixteen. Looks like I only have a dozen waiting. In the cold winter months its easier for me to get in the mood to quilt on my DSM, and in the summer and fall piecing seems more interesting. I have 3 quilted up so far this January, and the 4th is in progress. I have a sweet 16 and love it! I’ve had it for 6 years and over 4 million stitches. Love that feature wonder how many miles that would be. If any of the tops are the same size make a reversible quilt. Like you I did some organizing and, as of January 1st, shockingly discovered that I have 67 quilt top UFOs. Yikes. I finished 12 of them in January. You can do 2 a month with your new toy! Laughing at some of the comments saying you have a lot of UFOs!! I have at least 50 tops waiting for me to quilt them! I used to do really well at completing a quilt before starting on a new one, and then I spent 8 months across the country house/pet sitting for my daughter while she was deployed. I could not take my longarm, so I made quilt tops...lots of quilt tops! Since I longarm for others, their quilts have always taken the front of the line to be quilted. Now, I have spent the last 3 years away from my longarm taking care of my father, I have been creating a few more quilt tops! 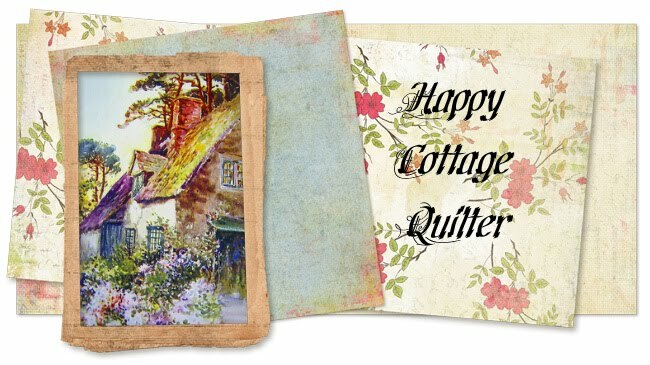 I'm looking forward to seeing you meet your goals of quilting those quilts! I'll have a multi-year goal of getting my quilts quilted when I finally can go home!! You will be getting lots of practice with your new machine!